On Wednesday 15th and 22nd August 2018 Jermin Productions transformed The Orangery at Margam Park into the Grand Ballroom of the Beast’s Palace! Welcoming Princes and Princess from all over South Wales, this High Tea event made their Fairytale dreams come true! Bonjour! You are cordially invited you to dine in the company of Fairytale royalty as we transform The Orangery into every little one’s Fantasy-Come-True. Step in to the world of magic and wonder as you experience high tea with a magical twist! A whole host of much loved, enchanting characters will transport from the pages of your story books to the grand Orangery ballroom. A delightful afternoon filled with laughter, song and dance, giving the ultimate nod to Disney’s classic tale. The event included a 1-1 meet and greet with each character for every single party followed by a 5* dining experience with personalised Child and Adult menus. The fun continued as a short performance took place around the venue submerging the guests into the action of this romantically charming fairytale and welcoming audience participation from our younger visitors. A 90 minutes experience jam-packed with spontaneous performances, high quality dining and intimate meet and greets with a wide range of characters. 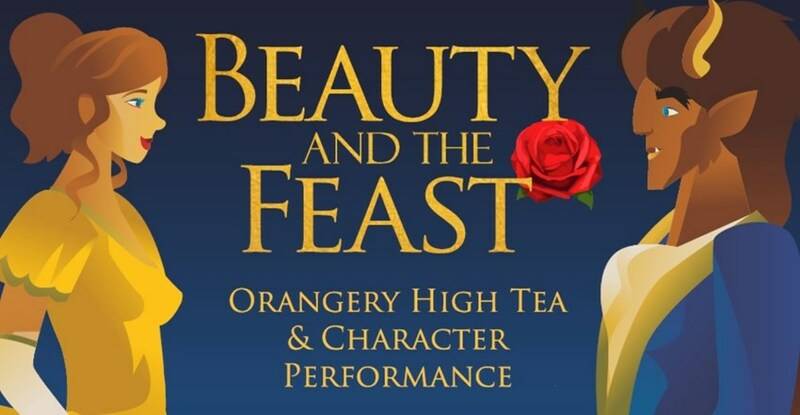 Be our Guest and be enchanted by this 5* experience based on a tale as old as time!